An Indian student in Abu Dhabi has developed robots to help protect marine life and also minimise human labour on farms, an innovation he hopes would be implemented on a bigger scale in the UAE, according to a media report. 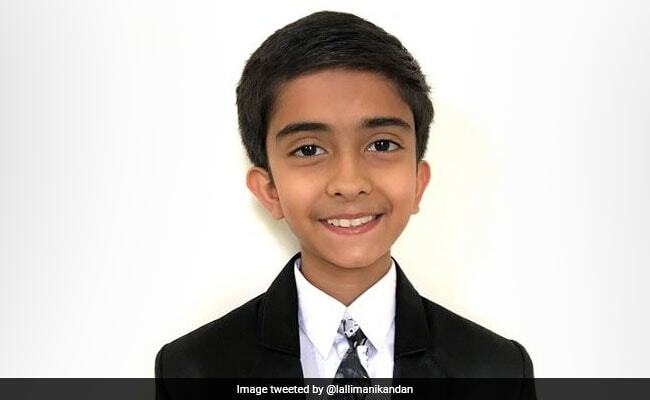 Sainath Manikandan, a student at GEMS United Indian School, built the Marine Robot Cleaner (MBot Cleaner) that helps preserve the marine environment and Agriculture Robot (Agribot) that help reduce the labour of farmers who work in hot countries like the UAE, Khaleej Times reported on Wednesday. "MBot is a prototype robot that can remove floating wastes from surface water. It is basically shaped like a boat and can be operated remotely with a radio control. It runs with two motors that help the boat move in the water," Mr Manikandan said. He added that popsicle sticks are attached to a wheel and then to the third motor to push the waste from the water bodies into the storage basket. "Solar panels can also be used instead of batteries. Although this project could plausibly restore the purity of water, it nevertheless could be the initial step taken forward towards creating a better ecosystem," he said, adding that developing this robot on a bigger scale, "we can try to preserve our marine species and environment." AgriBot too is powered by solar panels and along with it, drones could be used to assist and control the seed-planting process on farms, the report said. "AgriBot performs the elementary functions involved in farming, such as ploughing the field, sowing seeds, and covering the seeds with soil. The robot is autonomous and provides the facility for the optional switching of the ploughing system when required," he was quoted as saying by the newspaper. Sainath Manikandan is also involved in several eco-friendly programmes. He is the ambassador of Drop It Youth, Tunza Eco Generation, and an active member of the Emirates Environmental Group, the report said. "I have launched my own campaign, PEPC campaign, through which I collect paper, electronic wastes, plastics and cans for recycling," he said. "Recycling helps the environment in many ways, as it preserves our resources, saves the landfill space, reduces greenhouse gases and saves water and energy," Manikandan added.